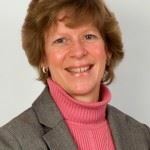 Betsy Schamberger is the founder and president of Moonstone Environmental, LLC based in Allentown, PA, an environmental consulting firm dedicated to providing exceptional service and expertise to its clients. She is a licensed Professional Geologist and certified Asbestos Building Inspector with 19 years of experience working in the environmental industry. Betsy holds master's degrees in hydrogeology and geochemistry. Betsy has led an extensive and impressive career working as an environmental professional in Pennsylvania. Over the course of two decades in the environmental industry, Betsy has distinguished herself as a leader and a trusted environmental expert in and around the Lehigh Valley, particularly with respect to environmental investigations involving commercial property transactions. She is also adept at coordinating multifaceted projects involving state and federal environmental agencies, and has continually won praise from large and small clients due to the high level of professionalism and technical ability that she displays when engaged with projects. As a Women's Business Enterprise (WBE), Moonstone has fostered the development and success of many women scientists and professionals, thanks in large part to Betsy's guidance and commitment to improvement. Betsy also uses her leadership abilities outside of Moonstone to bring energy and strength to several professional organizations aimed at promoting women's entrepreneurial development and environmental stewardship in the Lehigh Valley. She is the president-elect of the Lehigh Valley chapter of Commercial Real Estate Women (CREW), an organization that provides networking and professional development opportunities to women involved in all aspects of commercial real estate. In that role, she organizes events and creates opportunities in which women professionals can meet, share ideas and strategies, and develop business relationships with industries they may otherwise not have had access to. She also serves on the board of directors for the Literacy Center, an educational organization that provides English literacy education for men and women who are not proficient in English, thereby helping them to become more successful in their careers and personal lives. Betsy also works with the Lehigh Valley Land Recycling Initiative (LVLRI), the Lehigh Valley Economic Development Corporation (LVEDC), to promote sustainable land use and environmental stewardship in the Lehigh Valley. Moonstone's entire portfolio of work is dedicated to the improvement of environmental conditions on sites in the greater Philadelphia area and the Lehigh Valley. As the president of a small company, Betsy still finds many opportunities to "get her hands dirty" in the field leading by example and providing training and instruction to her employees. She has performed work on sites near Philadelphia that has included Phase I environmental assessments, asbestos inspections and sampling, soil and groundwater characterization, and remediation of contaminated sites. She has helped many clients navigate the environmental programs administered by the Pennsylvania Department of Environmental Protection (PADEP), including the Act 2 Land Recycling Program, the Storage Tank and Spill Prevention Program, and the Hazardous Sites Cleanup Program. Her proficiency with all of the work described above has solidified her reputation in the greater Philadelphia area and the Lehigh Valley as one of the foremost environmental professionals in her field. She is a graduate of Duke University with degrees in Chemistry and Economics. After graduating she went to work for DuPont. From 1980 until 1997, she held various positions in Technical Service, Sales, Marketing, and Product Management with the Packaging and Industrial Polymers and Crop Protection businesses. 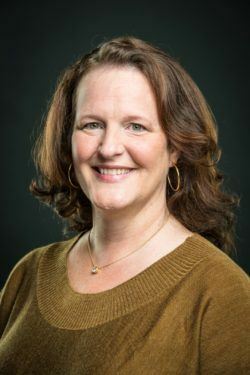 Late in 1997, she started working within the corporate organization to assist DuPont businesses in integrating sustainability into their strategic and business management processes which lead to her current position of Director of Sustainability. Dawn advanced DuPont to the forefront of the sustainability movement with her leadership, dedication, knowledge and energy. DuPont is a recognized sustainability leader in the US and internationally as a result of her work. Her passion for environmental conservation and protection has led to significant results through all of her professional & volunteer activities. She has a deep understanding of the unique role women play in these efforts. She makes things happen in a quiet but effective manner. She brings people together to work toward a common goal and gets the best results. What she started at DuPont in 1997 with no budget or staff has become one of the most integrated and well-respected sustainability programs in the world. She leads DuPont’s efforts at the World Business Council for Sustainable Development (WBCSD) and the United Nations Global Compact. Dawn is currently is on the Sustainability Council at Penn State’s Smeal College of Business, the Corporate Consultive Group Advisory Group of World Resources Institute, the Board of Trustees of the Nature Conservancy of Delaware and the Board of Directors of the Delaware Nature Society. Dawn is active in local sustainability initiatives in her community, which include supporting research, education and land conservation activities in the Delaware River and Bay estuary through the Clear into the Future program and overseeing the management of wildlife habitat on company properties at locations around the world. Dawn has also played an important role as a mentor to many people. She is very well known and respected in the corporate sustainability space as someone who is in many ways one of the founders of the field. She is admired for her knowledge, 36+ years of experience working at DuPont, and ability to cut straight to the essence of a particular challenge and look for solutions. She is focused, pragmatic, genuine, and determined. She has built a successful career and an outstanding reputation within a company and an industry that was (and still is to a certain extent) dominated by men in leadership positions. Beth Davidson Hyde – Roux Associates, Inc.
Marian R. Young – President, Brightfields, Inc.